The world’s largest high-grade nickel and palladium producer is developing a digital platform for palladium trading. The CEO of Norilsk Nickel – Vladimir Potanin announced several digital platforms including those that use crypto tokens for palladium trading. said Vladimir Potanin to Bloomberg. 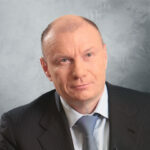 Potanin is a chief executive officer and owns about a third of the world’s leading palladium mines. He said that the idea was welcomed and acknowledged by customers and there is a high demand for tokens backed by metal. he said, adding that Nornickel may start the digital platform by the year-end if the project is approved legally. Also, Potanin negotiated with lawmakers and the central bank to create further frameworks for regulating digital platforms. New Russian laws that regulate digital finance are also critical success factors. The company is a pioneer of such initiatives. That means that the legal risks can be hardly forecasted. There are chances that the process will be initiated in Russia, as the law on digital financial assets is actively discussed and processed” said Russian investment analyst Vadim Kravchuk. said Sergey Sidilev, a Russian market expert. Potanin’s plan is a credible way to support the company’s stability and the demand for its products. They may also have a positive impact on the Russian economy and suggest a new global cooperation tool between the producers and consumers. Nornickel is also developing a digital platform for intellectual property, where startups can offer their ideas, even to industrial companies. Starting all the platforms would cost Nornickel and Potanin $5 million to $6 million. Disclaimer: this is an article written by an independent contributor. Fintech News does not endorse and is not responsible for or liable for any content, accuracy, quality, advertising, products or other materials on this page. Readers should do their own research before taking any actions related to the company. 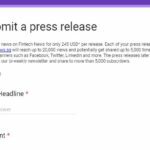 Fintech News is not responsible, directly or indirectly, for any damage or loss caused or alleged to be caused by or in connection with the use of or reliance on any content, goods or services mentioned in the press release. Please note this is not investment advice.